A Tiki Barber personal appearance, Tiki Barber speaking engagement, or Tiki Barber endorsement will reflect well on your company. To hire Tiki Barber now for any corporate appearance, fundraiser, motivational speaker event, personal appearance, autograph signing, or website endorsement please contact our celebrity agents at 1-877-6-SPORTS. We will contact Tiki Barber or contact Tiki Barber's agent and provide you with the booking fees and availability immediately upon your request. Direct Sportslink is the only sports speakers bureau and talent booking agency based in the United States securing only sports talent for corporations, associations, and organizations for motivational speaking engagements, personal appearances, and endorsements. We are the premier sports celebrity booking agency and a sports celebrity procurement expert. Accordingly, we will provide you with any relevant Tiki Barber website information and booking agent details so that you can hire Tiki Barber for your next event. Tiki and his twin brother Ronde Barber were born in Roanoke, Virginia to James and Geraldine Barber. He attended Cave Spring High School in Roanoke and was valedictorian of his graduating class. He attended the University of Virginia, gaining 4,883 all-purpose yards. He was the first player in school history to rush over 1,000 yards in back-to-back seasons, setting the top two single-season school records in 1995 and 1996 of 1,397 and 1,360 yards respectively. In October of 2006, on behalf of their family, Tiki and Ronde Barber made a donation of $1 million (USD) to their alma mater. At the event where the check was presented, the Barber brothers cited their mother's influence, particularly related to academics and civic participation. Barber was drafted by the New York Giants in the 2nd round of the 1997 NFL Draft. He became only the 21st player in NFL history to rush for over 10,000 yards during his career. He also became the third player in NFL history to gain more than 10,000 rushing yards and 5,000 receiving yards in a NFL career, joining Marshall Faulk and Marcus Allen. Hiring Tiki Barber for motivational speaker events is easier today since he has retired from professional football. As a broadcaster he showed why his speaker fee is well worth the money. 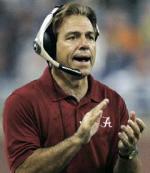 He is a good looking, well spoken, and popular sports celebrity who can speak about more than just football. Tiki makes various personal appearances every year that have included Super Bowl appearances, media appearances, and appearances on behalf of his corporate partners. His appearance fee is lower on the east coast than west coat since he usually travelsfrom the New York area. 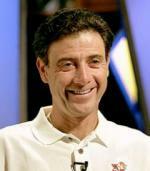 Tiki has endorsed several companies, including Reebok, Visa, Champs Sports, and Manchester Technologies. 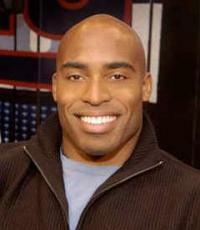 Based on your interest in Tiki Barber as a speaker or for a personal appearance, Direct Sportslink has provided you additional links below for other sports talent with similar appearance fees, speaker topics, and categories that match Tiki Barber.